This plugin will help you maximize your ad revenue in a super short amount of time. It comes with a low price tag and is well worth the investment. It's easy to use and implement, and it has many great features to help you get the most out of your advertising campaigns. Highly recommended. When you are starting out as a blogger, you can use any free ad management plugin to run ads from AdSense, Media.net, direct ads, and even affiliate ads. But once you graduate from beginning blogging and enter into intermediate/pro blogging, you will realize that there is more money to be had when you are showing targeted ads based on posts, categories, tags, and other parameters. Just by changing the way you show and target advertisements on your blog, you can grow your earnings by a great extent. And don’t forget, if you are using AMP on your blog, you need to ensure that ads are showing on AMP pages. 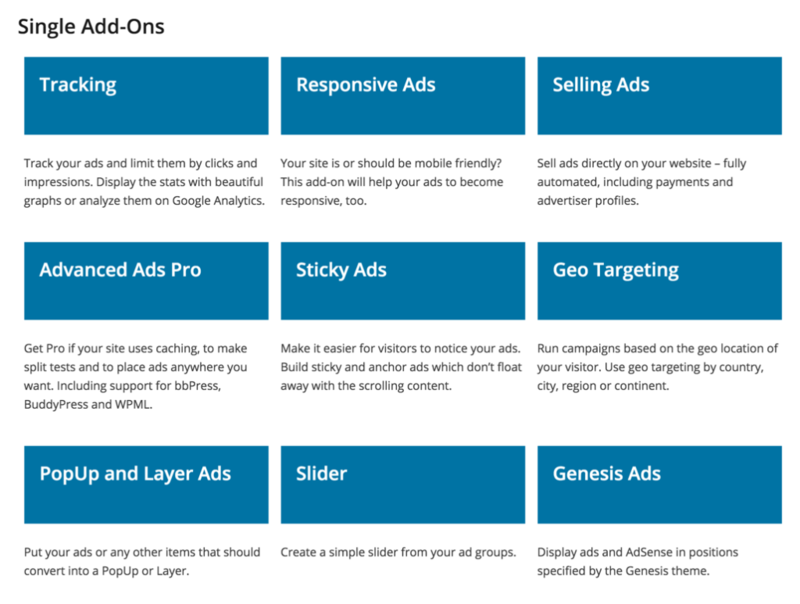 After carefully vetting a lot of options, I have been using the Advanced Ads Pro for WordPress plugin for about 8 months. Instead of showing the same ads on all pages, I now have started showing ads based on categories and tags. This simple tweak has improved my CTR from 0.25% to 1.22%, which is more than 4X. So if you really want to start earning more money from your blog, this little adjustment can do wonders. 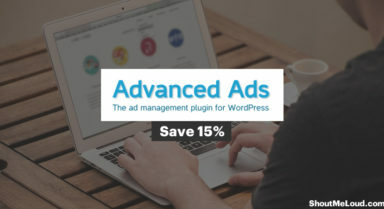 Advanced Ads is a popular WordPress plugin that comes in both a free and a paid version. The plugin has many advanced features that help you maximize your earnings from advertisements placed on your blog. Shows certain ads only on selected posts or categories or tags. Comes with AMP support to show ads on the AMP version of your site. Useful analytics and stats are available with the Stats Addon. Automates ad selling with the Selling Ads Addon. This sells based on clicks, days, impressions, and/or other custom conditions. This one is great for those who are looking to sell direct ads on their WordPress blog. 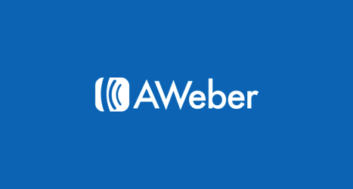 Supports PayPal, Stripe, and other WooCommerce payment systems. Advanced geo-targeting. Shows or hides ads based on geo-location of visitors. This feature uses GeoLite2 data by MaxMind. Shows ads automatically between, after, or before the post. Ability to add ads using shortcodes or by editing the functions file. Hides ads on 404 error pages (useful for AdSense users). 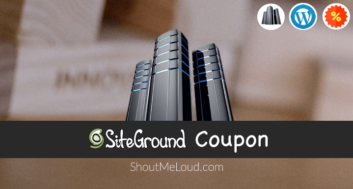 Here I’m sharing an exclusive 15% off anything coupon code for Advanced Ads. You can either buy individual add-ons or you can buy their Pro bundle (that’s what I use at ShoutMeLoud). To use this exclusive Advanced Ads coupon, first you need to select the package you wish to buy. You can start with the Pro version of the plugin now, and you can buy the complete bundle later on. 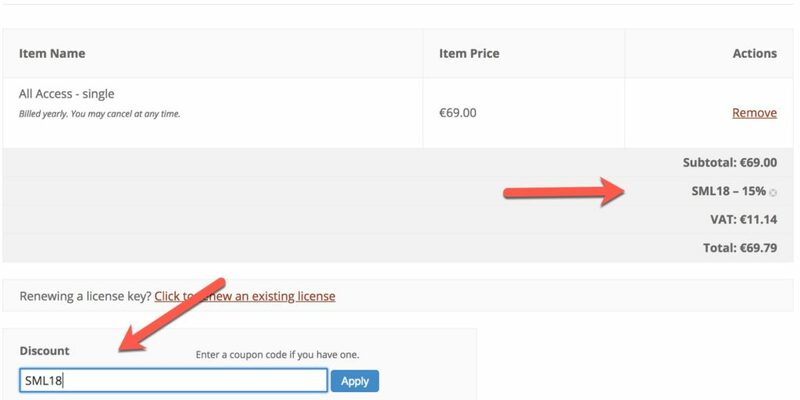 During checkout, you will see a field that asks for the coupon code. Enter SML18 and the 15% discount will be applied to your total order automatically. After using Advanced Ads for around 8 months and seeing how often it gets updated, I can safely say that it’s one of the best WordPress ad management plugins out there. 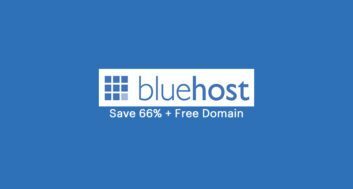 This one plugin will help you run any advertisement on your blog, and it will definitely help you to generate more revenue. Once you have started using this popular ad management plugin, do let me know how much extra revenue you have generated after using it. Share your results in the comments below!